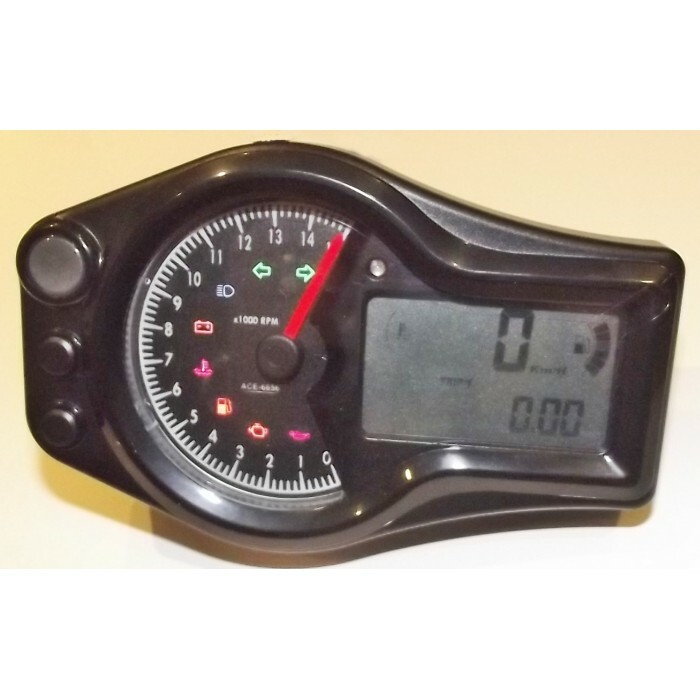 The Acewell 6656 is comprehensive dash with all usual functions & featuring an analogue tacho needle from 0 15000rpm & with 8 built in warning lights for Indicators/Hazards, Main Beam, Battery (adjustable), Temperature (adjustable), Fuel, Engine & Oil plus a large & highly visible shift light. 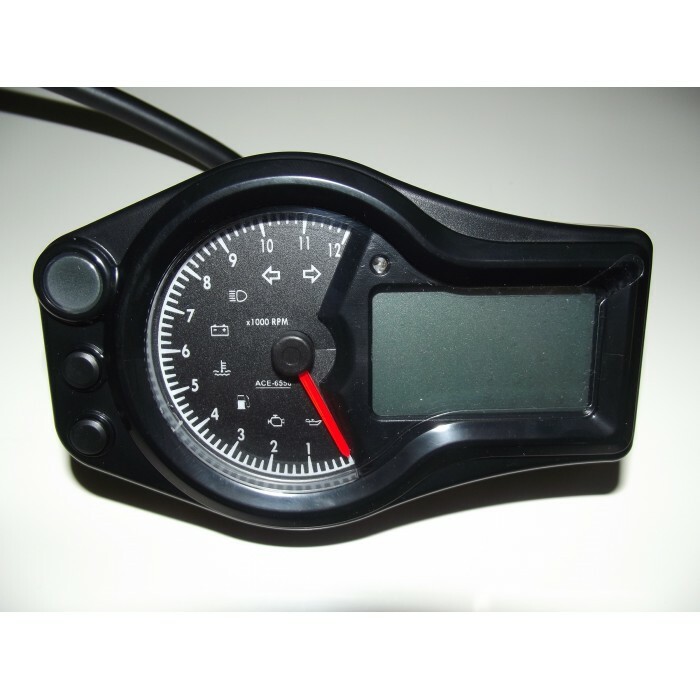 Simultaneously displays, speedometer, fuel gauge, temp gauge & rev counter, gear indicator 1 - 8 & N, there is a secondary digital display below the speed display which can be used to show clock, revs, temp etc. Speed input can connect to magnet/reed switch sensor (included) or optional cable drive adaptor or directly to many speed sensors fitted to automotive & motorcycle gearboxes gearboxes. Speedo displays up to 248.5 Mph, switchable to 399.9 Kmh, will also display Max speed or average speed & mileage trips. 1 x Temperature sensor 1/8 NPT which can be used for water or oil temp. .